Acupuncture successfully regulates hormones and ovarian blood flow in women with polycystic ovary syndrome (PCOS) related infertility. Maternal and Child Healthcare Hospital of Hengfeng County researchers compared the efficaciousness of acupuncture and drug therapy. 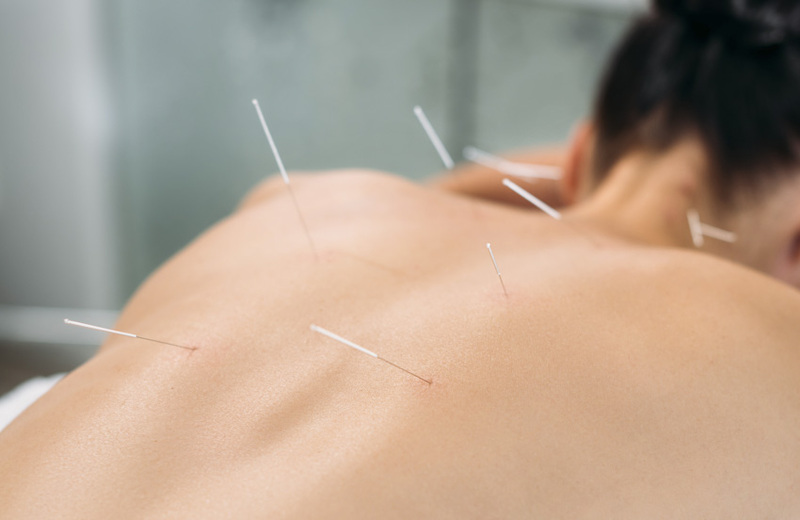 The addition of acupuncture to drug therapy produced superior patient outcomes over patients receiving only drug monotherapy. The combined integrative medicine protocol using acupuncture produced improvements in the regulation of estradiol (E2), follicle stimulating hormone (FSH), luteinizing hormone (LH), testosterone (T), and prolactin (PRL) levels. Also, ultrasound imaging reveals that acupuncture improves ovarian blood circulation. A total of 124 women diagnosed with infertility due to PCOS were recruited for the study and were randomly assigned to the control group or the acupuncture group. Participants in the control group were treated with conventional drug therapy. Participants in the acupuncture group received conventional drug therapy combined with acupuncture treatments. The drug monotherapy control group consisted of 62 women aged 21–36 years, with a mean age of 26.11 years. Participants weighed 53–84kg, with a mean weight of 74.06kg, and a mean body mass index (BMI) of 26.82. The duration of disease was 2–11 years, with a mean duration of 4.64 years. The acupuncture group consisted of 62 participants aged 22–37 years, with a mean age 25.84 years. The participants weighed 55–82kg, with a mean weight of 72.43kg, and a mean BMI of 27.02. The duration of disease was 2–12 years, with a mean duration of 4.52 years. There was no statistically significant difference between the baseline characteristics of the two groups (p>0.05) prior to treatments in the investigation. The participants in both groups were treated with pharmaceutical medications to regulate their menstrual cycles and promote ovulation. Oral ethinyl estradiol cyproterone (0.035mg) was prescribed to start on day two of the menstrual cycle, or day two of withdrawal bleeding in those women taking oral hormonal contraceptives. One dose was taken daily for 21 consecutive days, followed by a seven day break, during which time withdrawal bleeding would occur. The women were also prescribed oral clomifene (50mg). This was started on day 5 of the fourth menstrual cycle or fourth withdrawal bleed, and taken for five consecutive days. The total treatment length was six months. Participants were asked to empty their bladders and bowels prior to each treatment. Following standard disinfection, 0.25 × 40mm needles were inserted into the acupoints. Baihui was needled transversely, and after obtaining deqi, the needle was retained for 30 minutes. The remaining points were needled perpendicularly, using a needle flicking insertion technique. After obtaining deqi, needles were manipulated with a reinforcing-reducing technique, using appropriate lifting, thrusting, and rotation. Needles were retained for 30 minutes. Treatment was administered daily for 21 consecutive days, with a seven day break allowing for menstruation before another course of care was initiated. Treatment was provided for a total of six months. Outcomes for the study included quantifying levels of the hormones estradiol (E2), follicle stimulating hormone (FSH), luteinizing hormone (LH), testosterone (T), and prolactin (PRL). A 5ml sample of venous blood was taken during a fasting blood test carried out between days 2 and 5 of the participants’ menstrual cycles, both before and after all treatments. Mean pre-treatment E2 levels were 40.12ng/L in the control group and 39.50ng/L in the acupuncture group. Mean FSH levels were 7.03 and 7.08mIU/mL respectively, LH levels were 14.43 and 14.41mIU/mL respectively, T levels were 81.94 and 82.01ng/dL respectively, and PRL levels were 37.07 and 38.10mg/ml respectively. There was no statistically significant difference between the two groups’ baseline measurements (p>0.05) prior to treatments. Following all treatments, mean E2 levels increased to 55.47ng/L in the drug control group and 57.76ng/L in the acupuncture group. Mean FSH decreased to 5.41 and 5.36mIU/mL respectively, LH decreased to 9.00 and 6.27mIU/mL respectively, T decreased to 62.16 and 51.84ng/dL respectively, and PRL decreased to 31.28 and 30.91mg/mL respectively. In both groups, mean E2 levels increased and mean FSH, LH, T, and PRL levels decreased significantly following treatment (p<0.05). Both LH and T levels reduced significantly more in the acupuncture group than in the drug control group (p<0.05). Ovarian blood flow was also measured by way of vaginal ultrasound. This was administered on day 13–14 of the menstrual cycle, before ovulation occurred. Measurements were taken before and after the treatment period, and took into account: end diastolic velocity (EDV), peak systolic velocity (PSV), pulsatility index (PI), and resistive index (RI). Before treatment, mean EDV was 9.97cm/s in the drug control group and 10.00cm/s in the acupuncture group. Mean PSV measurements were 10.26 and 10.24cm/s respectively, PI measurements were 1.01 and 1.02 respectively, and RI measurements were 0.54 and 0.53 respectively (p>0.05). Following treatment, mean EDV increased to 10.04cm/s in the drug control group and 15.51cm/s in the acupuncture group. Mean PSV decreased slightly to 10.20cm/s in the control group and increased slightly to 10.94cm/s in the acupuncture group. PI fell in both groups, to 0.98 and 0.87 respectively, and RI fell in both groups to 0.53 and 0.47 respectively. The improvements in EDV, PSV, and RI were significantly greater in the acupuncture group compared with the control (p<0.05). The results indicate that acupuncture integrative care provides significant benefits for women with PCOS related infertility. These include improvements in the regulation of hormone levels and ovarian blood flow, which are significantly greater improvements than using only conventional drug monotherapy. The findings suggest that acupuncture has the potential to improve clinical outcomes for women with PCOS when combined with usual care. Contact your local licensed acupuncturist to find out more. Gu Yunxia, Li Jun, Zheng Pengying (2018) “Effect of Acupuncture Combined with Western Medicine on Hormone Level and Ovarian Blood Flow in Infertile Women with Polycystic Ovary Syndrome” Chinese Journal of Integrative Medicine Vol. 22 (25) pp. 3588-3590.